SALT LAKE CITY, Utah – DigiTech today announced the introduction of the iStomp pedal, an entirely new concept in guitar stompboxes that allows musicians to program the effect pedal with any sound they want – and change it at any time. 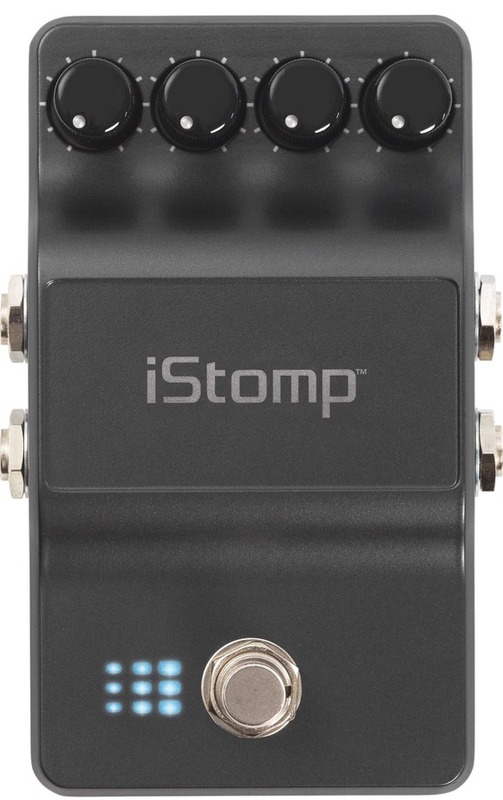 Offering almost limitless sonic possibilities, the iStomp connects to an iPod Touch®, iPhone®, or iPad® enabling musicians to load the effect of their choice into the iStomp. The iStomp pedal connects to an Apple iOS device using the DigiTech Smart Cable that comes with the iStomp. Once connected, the DigiTech StompShop provides two of the most popular requested effects, the DigiTech Total Recall Delay and the DigiTech Redline Overdrive with the initial purchase. The app also offers access to additional effects that iStomp owners can browse, try out, and purchase for their stompbox. The iStomp pedal has four knobs to control effects parameters, which change their function according to which effect is loaded. iStomp makes trying out new sounds easier than ever. Any guitarist can try any pedal from the Stomp Shop for free for up to 5 minutes – in their own home, using their own guitar and amp. Approximately 24 pedals will be offered initially, and the selection will expand to include exclusive pedals from DigiTech, officially licensed pedals from other manufacturers and classic legacy DigiTech and DOD products. Every musician wants to create his or her signature sound, and many buy, sell and trade pedals constantly in their quest for the ultimate tone. With iStomp, users simply pay the cost of a download if they want to get something new. Multiple iStomp pedals can be authorized to the same iTunes account, allowing customers to purchase an effect once from the in-app store, and then load it into any iStomp pedal registered to them. All purchases are saved within the app, making it easy to build up a wide ranging effects collection. The DigiTech iStomp will begin shipping in January 2012 at $229.95 suggested retail. The iStomp pedal comes with an iOS authorization cable, power supply and the two initial downloads. Additional downloads are available starting at $4.99 each. HARMAN (www.harman.com) designs, manufactures and markets a wide range of audio and infotainment solutions for the automotive, consumer and professional markets – supported by 15 leading brands including AKG®, Harman Kardon®, Infinity®, JBL®, Lexicon® and Mark Levinson®. The Company is admired by audiophiles across multiple generations and supports leading professional entertainers and the venues where they perform. More than 20 million automobiles on the road today are equipped with HARMAN audio and infotainment systems. HARMAN has a workforce of about 12,000 people across the Americas, Europe and Asia, and reported sales of $3.8 billion for the twelve months ending September 30, 2011.